Walls don’t talk! 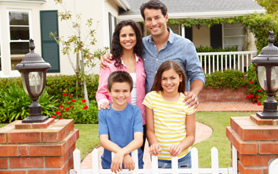 Protect your assets and enjoy knowing your home is safe. Call today for expert accuracy and be aware of issues before you list your home for sale. Radon is a radioactive gas that has been found in homes all over the United States. It comes from the natural breakdown of uranium in soil, rock and water and gets into the air you breathe. Have a look at some of our latest home construction projects . 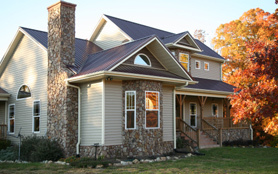 Meridian Builders provides quality home inspection services to home buyers and homeowners throughout the Triangle area. What’s the largest investment that most people will make in their lifetime? Buying a home! Although this process can be very stressful and emotional, Meridian Builders is here to help ease your fears. We offer unbiased home inspections to bring peace of mind and perspective to the home buying process. Having a home inspection performed can uncover potentially costly repairs and deficiencies, which can save you money on your biggest investment. Looking to sell your home? 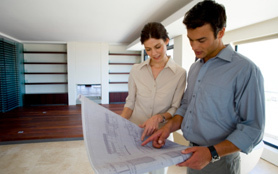 Why not get a head start and let Meridian Builders perform a seller’s inspection to identify deficiencies in your home. Don’t let a correctable issue be the cause of the sale to fall through. Identify the problems in your home and increase the chances of a quick and easy transaction. Seller’s inspections give you time to correct problems and avoid costly time constrained repairs. Most new construction homes carry a one-year warranty. During this “break in” period some issues evolve and corrective repairs are needed. Meridian Builders offers a warranty inspection service to new homeowners before this period expires to identify problems and deficiencies in your new home. Identifying these problems will allow you to have repairs done at the builders expense saving you money. Justin Smith brings a fresh and energetic approach to the home industry. Along with his twelve years of industry experience, he brings the latest technology to Meridian Builders. Justin is committed to serving his clients needs by performing the most comprehensive home inspections. Prior to starting Meridian Builders, Justin earned a bachelors of science degree in Business Administration from North Carolina State University. Since then, he has gained priceless knowledge from working with one of the leading custom building firms in North Carolina. Whether doing a detailed home inspection or building his clients dream home Justin guarantees complete satisfaction. Please provide the sum of the challenge equation below to prove you're not a robot. © Meridian Builders. All rights reserved.